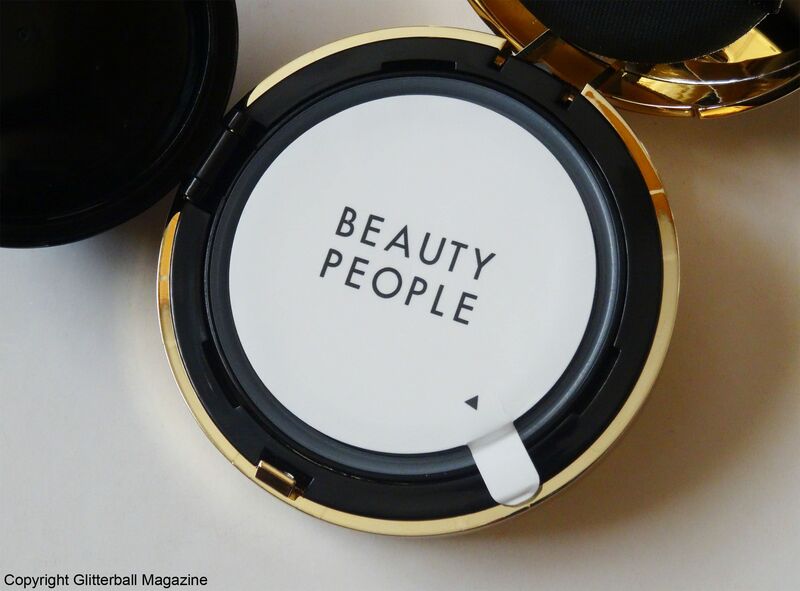 It’s no secret that Korean cushion foundations are one of the most popular beauty products. Given that I’m a huge fan of Korean beauty, you’d think I’d have tried quite a few of these foundations by now, right? Wrong. 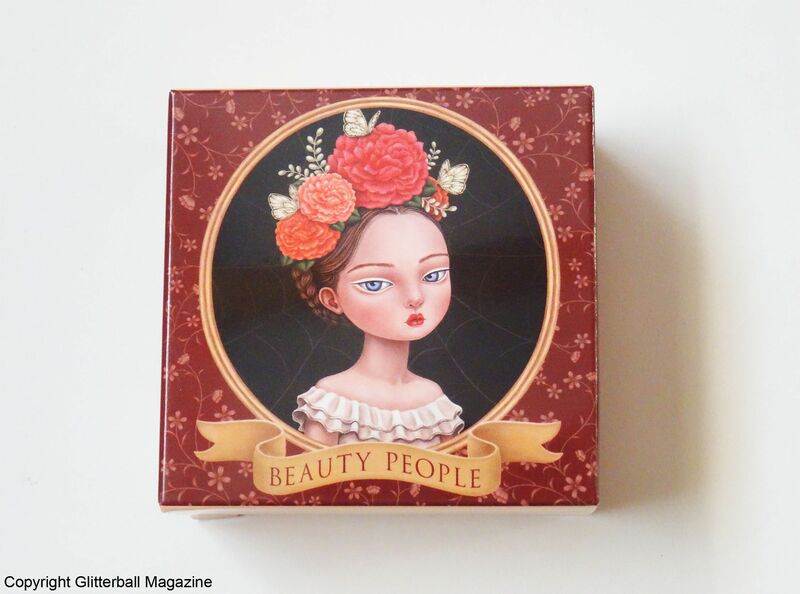 The Beauty People Absolute Lofty Girl Cushion Foundation is the first cushion foundation I’ve used! 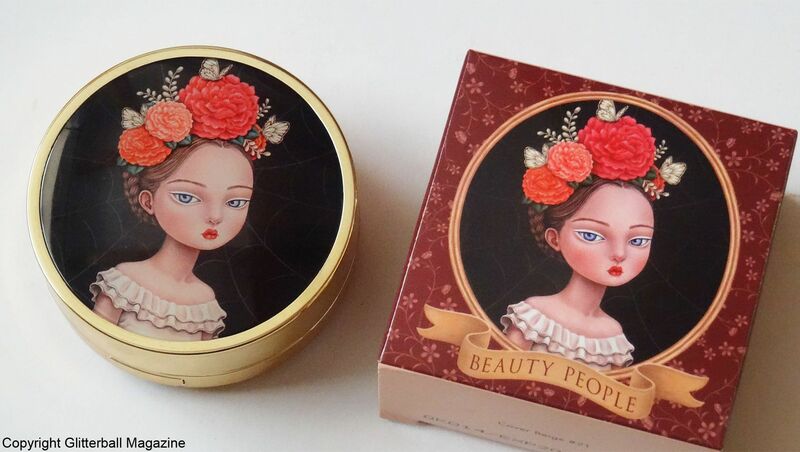 Like many of you, I’m a total sucker for beautiful packaging and this cushion foundation features a beautiful illustration on the front of the compact. The sleek gold casing is equally impressive. 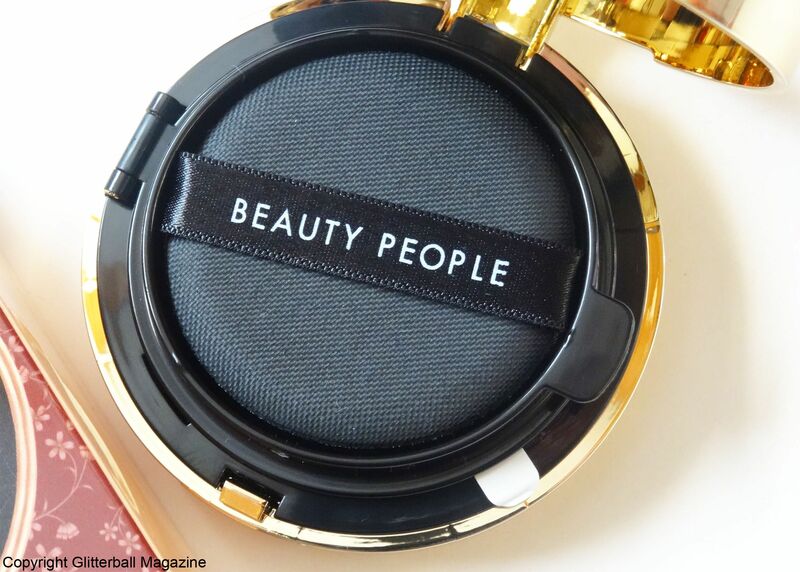 Aiming to cover blemishes, disguise uneven skin tones and redness associated with rosacea, this little beauty wants to be the only cushion foundation in your life. It’s enriched with SPF50+ PA+++, which is a blessing for anyone keen to protect their skin from the sun. However, it’s worth noting that while the sun protection in this foundation isn’t enough to protect your skin like a regular sun cream, it’s still good as a top up. 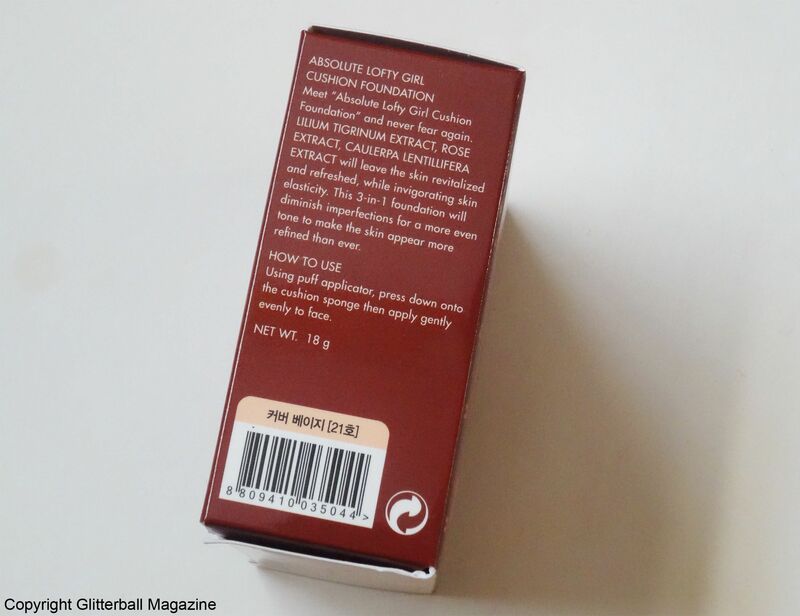 The Beauty People Absolute Lofty Girl Cushion Foundation offers hydration and instant soothing from dry or irritated skin in addition to promoting a youthful complexion with an impressive range of natural ingredients. Adenosine encourages firmer and more moisturised skin, allantoin has anti-ageing properties to make skin smoother and bouncier, while niacinamide helps brighten a dull complexion. Extracts of lotus flower provide skin with essential vitamins and antioxidants to nourish dry or dehydrated skin to promote a brighter and plumper skin. If you have oily or combination skin, you’ll be pleased to know lotus flower can also help regulate oil production. Propolis and rose are wonderful ingredients for soothing skin irritation and facial redness to make the surface of the skin smoother. Seabuckthorn oil and aloe vera also tackle pesky rosacea. Algae offers moisture to dry or sensitive skin and has anti-ageing properties to keep skin radiant. Providing long-lasting coverage, this foundation is ideal for all skin types, particularly those with sensitive skin. 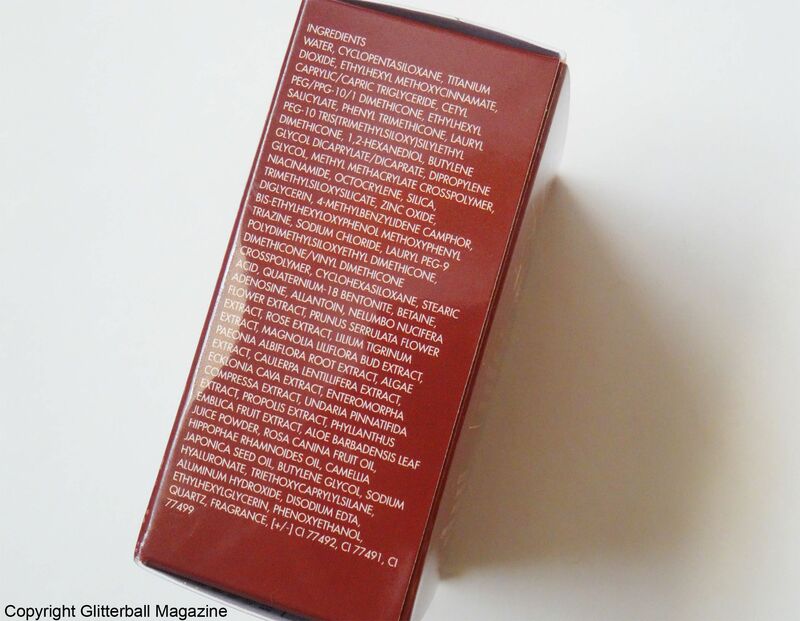 Because it’s full of natural extracts, it’s also an ideal foundation for plumping fine lines or winkles. 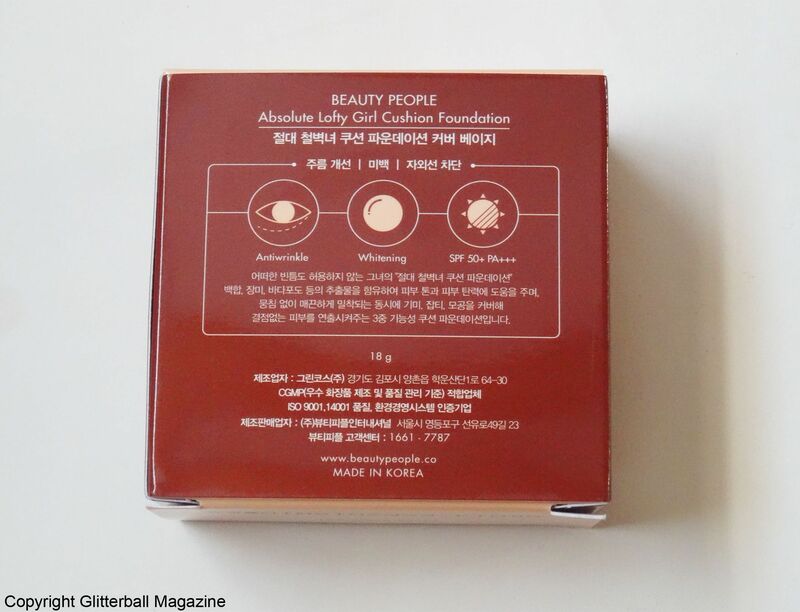 After applying my Precious Mineral Magic Any Cushion in Magic Mint from Etude House I gently tap this onto my face from inside to outside, paying more attention to my nose and cheeks, where my rosacea is an unwelcome guest. It’s available in two shades, cover beige 21 (my colour) and cover sand 23. Although my rosacea flare ups depend on the weather or what I’ve eaten, this always covers telltale redness and gives me a brighter, dewy complexion to rival the glow of Lee Dong Wook. It’s easy to apply and the colour matches my skin tone perfectly. Pores on my nose are also less noticeable. It offers medium to high coverage but the formula itself is lightweight so it doesn’t feel heavy on my skin or pill with my multiple layers of skin care. Always a bonus, right? 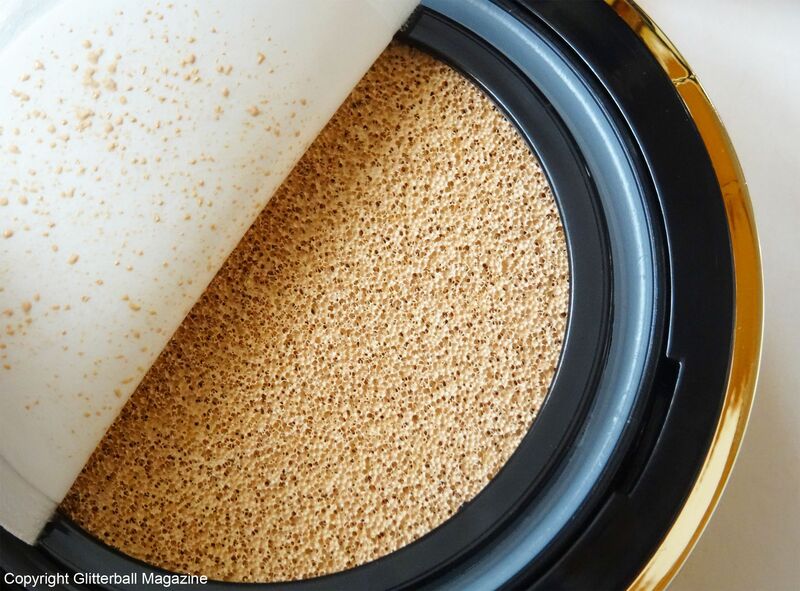 Forget foundation that looks dry or patchy, this is a dream to use! If you’d like to find out how I set my make up, check out my review of the NYX Dewy Finish Make Up Setting Spray on my blog.